Fish can be a favourite food for some people while being detested by others. Like marmite! One thing is for certain, however, ‘love them or hate them; you cannot ignore them’. There is a wide variety of edible fish in this world, with only a handful being toxic for human consumption. Fish are found in waters everywhere, regardless of whether it is salt-water or freshwater. Fishmongers, as a job, get their fish from different ports and merchants before selling them for public consumption. Before you set off to buy fish Formyour plate, it is a good idea to be aware of certain questions that you should ask the fishmonger. Discussed below are these questions. If it is your regular fishmonger then they would know what fish is part of your regular diet. If you are going to them for the first time, then, of course, you will have to mention the fishes that you usually opt for. Listen closely to the way they answer, as this will give you a clear idea about their knowledge. 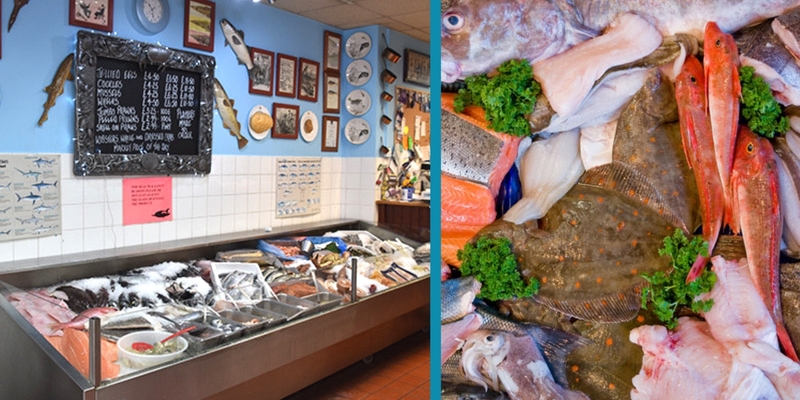 The best traditional fishmongers in Croydon are well aware of the nutritional values of the fish they sell so should be able to easily provide recommendations. 2. Do You Know Where Your Fish Was Farmed? Another relevant question to ask a traditional fishmonger is if they are aware of the source of the fish they are selling. A good fishmonger should ideally cringe at the question because farmed fish is a controversial subject because of the use of anti-parasitic chemicals for lice control. Fishes like salmon, the most widely consumed fish in the UK, is a farmed fish. It would be a good suggestion on the monger’s part to ask you to change your food habits from salmon to an unfarmed fish like mackerel. 3. Do seasons Have Anything to do with the Fish I Eat? Again, this is a question to test the knowledge of the fishmonger. While it is common knowledge that the change of seasons and the resulting fluctuations in water temperatures have an effect on the fish we consume, only a knowledgeable monger would be able to suggest which fish to avoid during a particular season and what to replace it with. This is one of the most important questions that you should ask your fishmonger. Fish has a tendency to go bad if kept out of a freezer for a long time and have a shelf life even inside a freezer. The frequency of new arrivals, while dependent on the complete selling of the current stock, needs to be frequent as people prefer fish that is fresh. It is indeed true that no fishmonger will say anything that might harm their business, look for specific clues to ascertain the validity of their statement. These are some relevant questions you can ask traditional fishmongers in Croydon to understand their knowledge.